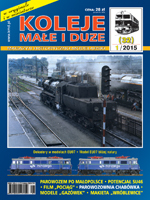 All the non-modernised ST44 diesels that remain in working order (23 locomotives in October 2015) have been grouped in the Central Division of PKP CARGO S.A.. 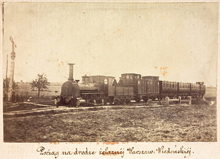 Most of the machines have been allocated to Białystok and may currently be seen on the non-electrified lines around Czeremcha, Ełk, Białystok and Suwałki. In accordance with the requirements of the newly developed Maintenance System Documentation (DSU), the operational limit of the locomotives is now set not only by the locomotive's mileage but also by the period of operation. For the ST44 locomotives these have been set at 12 years or 400.000 km between overhauls (P4 maintenance level) and 32 years or 1.600.000 km between heavy general repairs (P5 maintenance level). The introduction of new locomotive maintenance rules as of the end of October 2015 meant that all of the locomotives that met at least one of these new criteria had to be withdrawn immediately. In case of ST44s 6 locomotives have been sidelined and more will follow in due time. The article includes their list together with withdrawal dates. 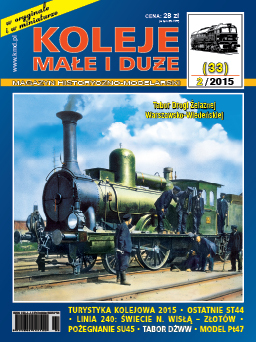 170 years of the "Warsaw - Vienna Railway"
Polish language, 210 x 280mm, 80 colour pages.